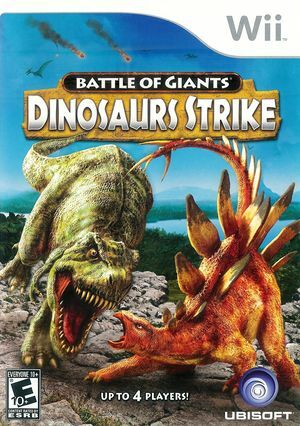 Battle of Giants: Dinosaurs Strike, also known as Combat of Giants: Dinosaurs Strike in Europe, is a video game developed by Ubisoft, released for the Wii on November 2, 2010. The 1P dinosaur textures are solid black no matter what setting I adjusted. The computer NPCs all look normal though. Tested on Dolphin 5.0-8710. The graph below charts the compatibility with Battle of Giants: Dinosaurs Strike since Dolphin's 2.0 release, listing revisions only where a compatibility change occurred. This page was last edited on 27 September 2018, at 20:16.